In 2006, Wei-Ling Gallery brought Malaysian contemporary art to international waters. 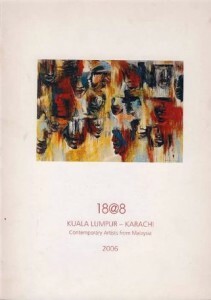 The Gallery collaborated with and exhibited Malaysian Art at Amin Gulgee Gallery, Karachi, Pakistan. This transnational project broke geographical and political boundaries. All the more significant is the production of such a monumental project by a local private gallery. Li-En Chong introduced the show with a feature in this catalogue.